Item # 308006 Stash Points: 2,495 (?) This is the number of points you get in The Zumiez Stash for purchasing this item. Stash points are redeemable for exclusive rewards only available to Zumiez Stash members. To redeem your points check out the rewards catalog on thestash.zumiez.com. 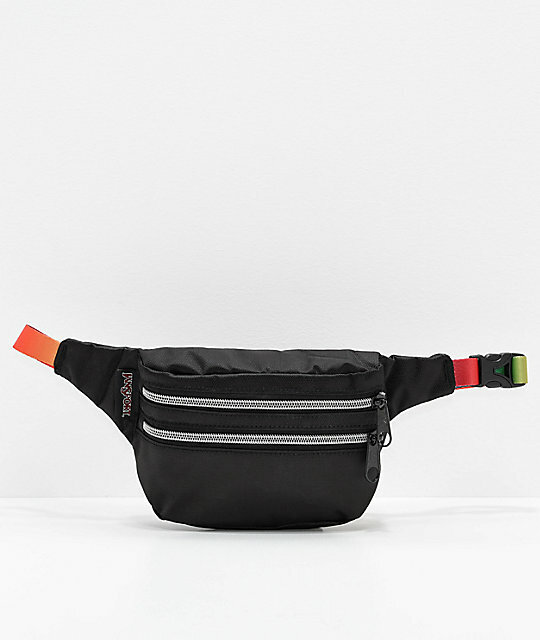 Store your daily adventure gear in wild style with the JanSport Hippyland Black & Rainbow Web Fanny Pack. 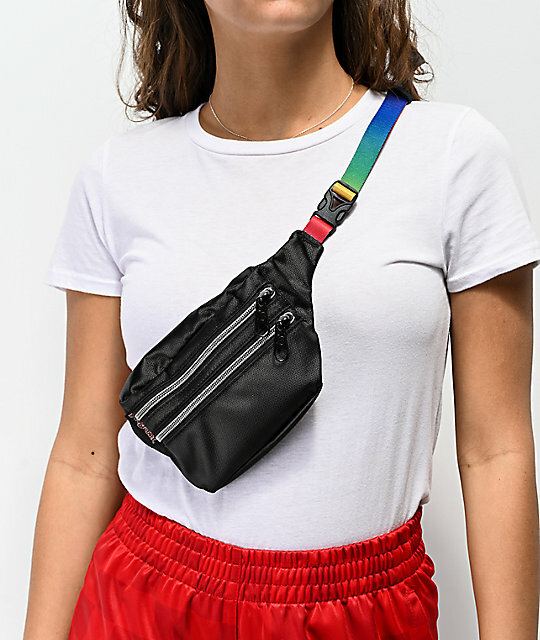 This mostly black hip sack features two main pockets with zip closure for storage and a rainbow colored adjustable waist strap for tons of flair and style. 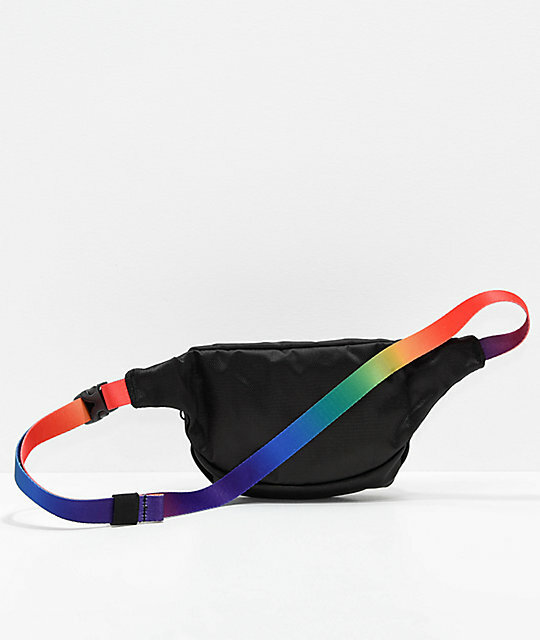 Hippyland Black & Rainbow Web Fanny Pack from JanSport. Part of JanSport's Festival Collection. Rainbow colored adjustable webbing waist belt with plastic clip. Main compartment with two additional front storage pockets. Zipper closures for secure storing. 7.5" L x 4" H x 1.5" D | 19 x 10 x 4cm. Limited lifetime warranty through manufacturer.